Remember when coding was fun? 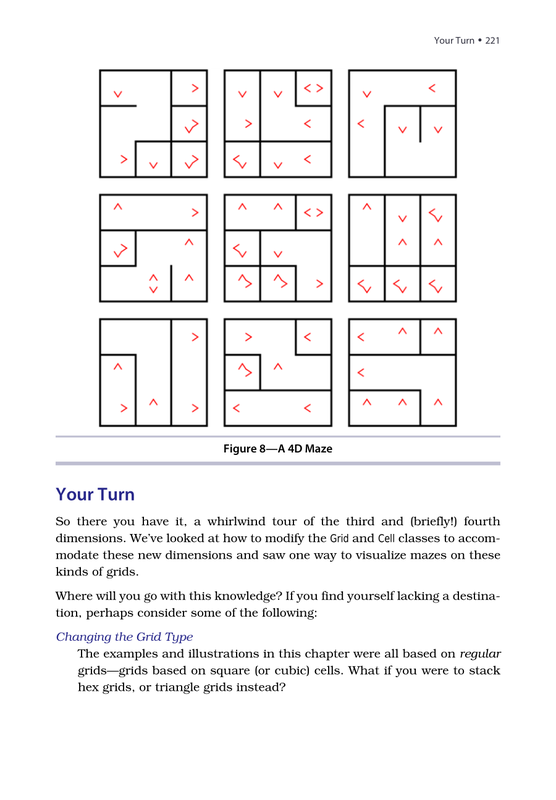 A book on mazes. Seriously! 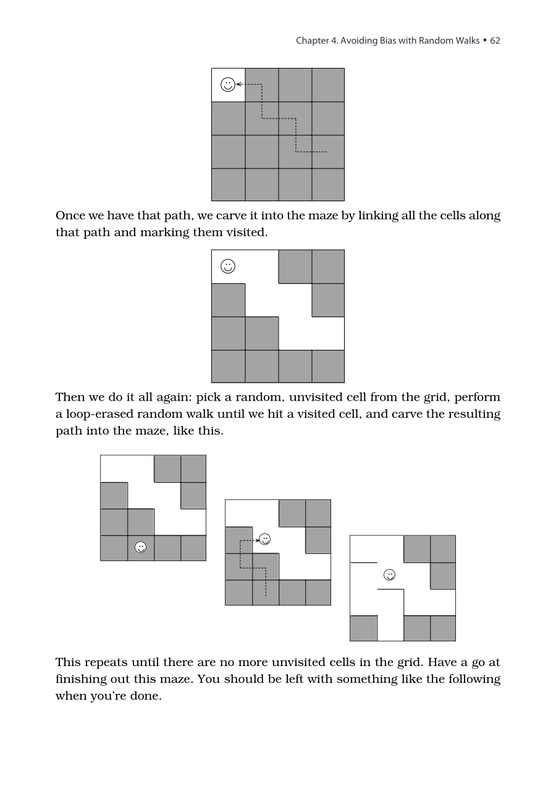 Not because you spend your day creating mazes, or because you particularly like solving mazes. But because it’s fun. Remember when programming used to be fun? 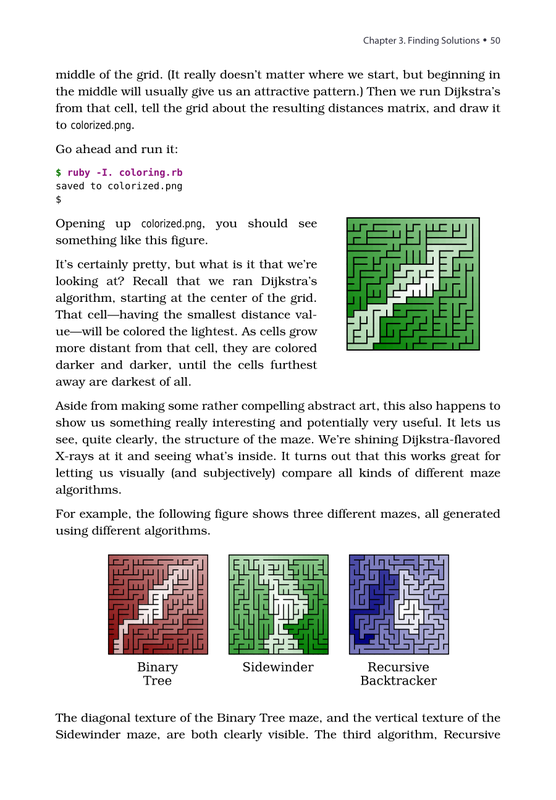 This book takes you back to those days when you were starting to program, and you wanted to make your code do things, draw things, and solve puzzles. It’s fun because it lets you explore and grow your code, and reminds you how it feels to just think. 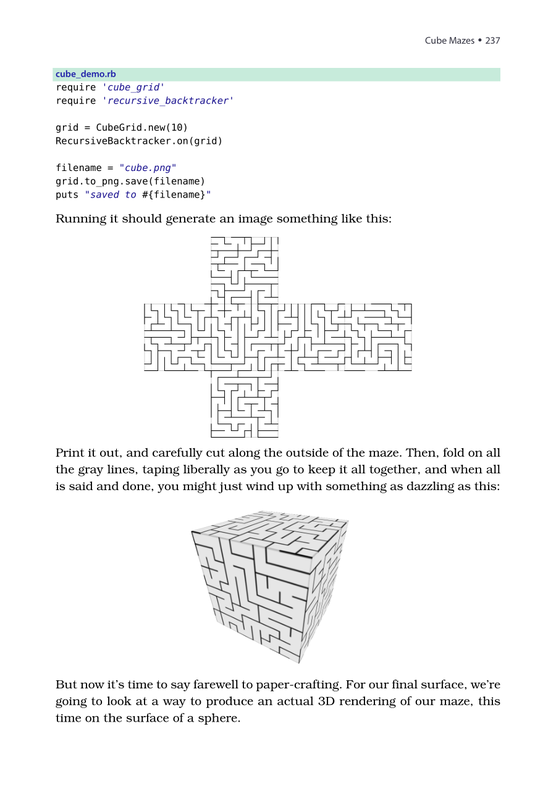 Mazes for Programmers will show you how to write programs to generate, draw and solve mazes. 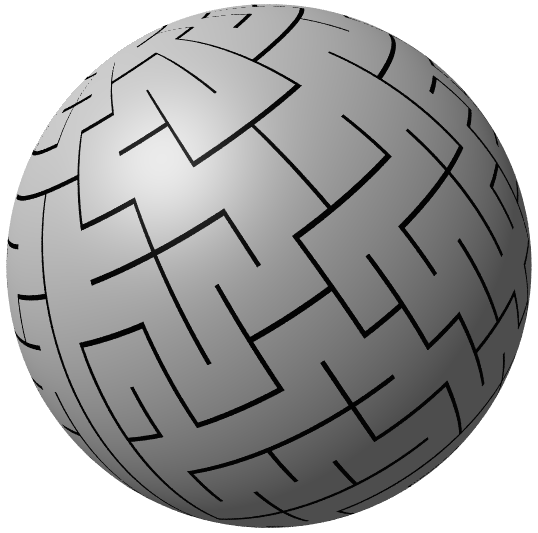 Map them into arbitrary outlines, wrap them around shapes, build them in hexagons and triangles. 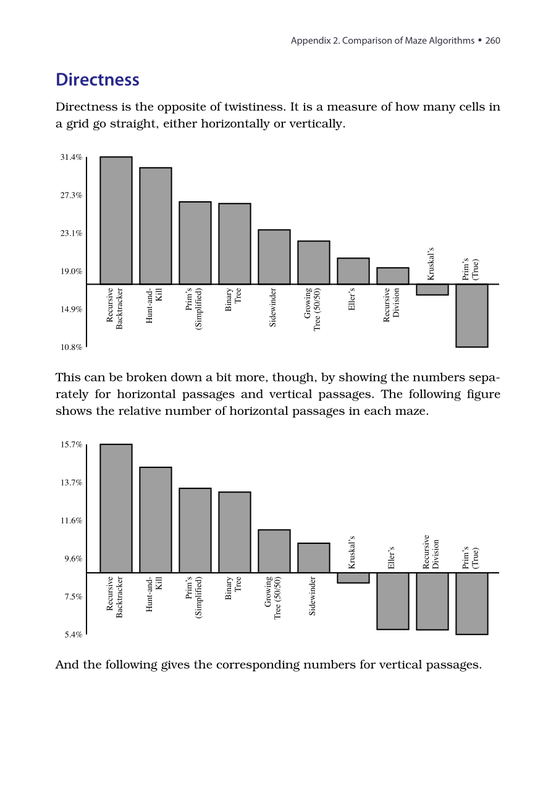 Learn twelve different algorithms, from the Binary Tree algorithm, to Eller's, each with different strengths and weaknesses. 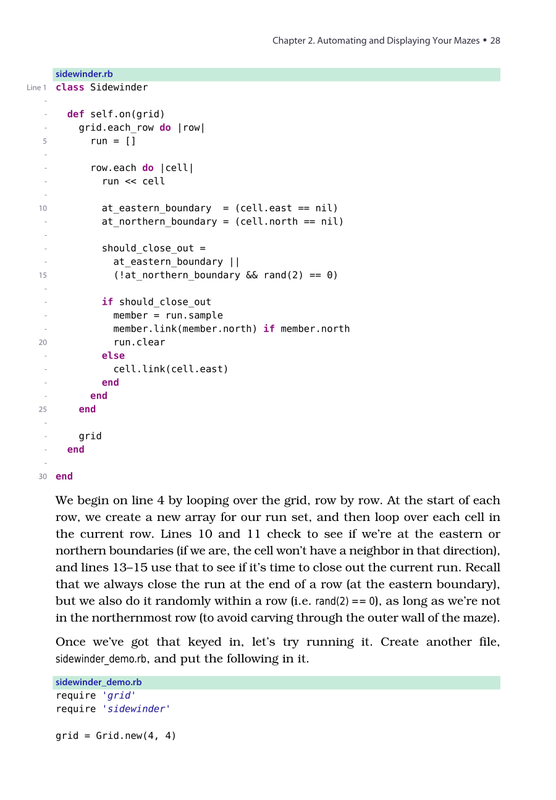 Full Ruby source code for every algorithm! And many more, with dozens of project ideas for you to experiment with! 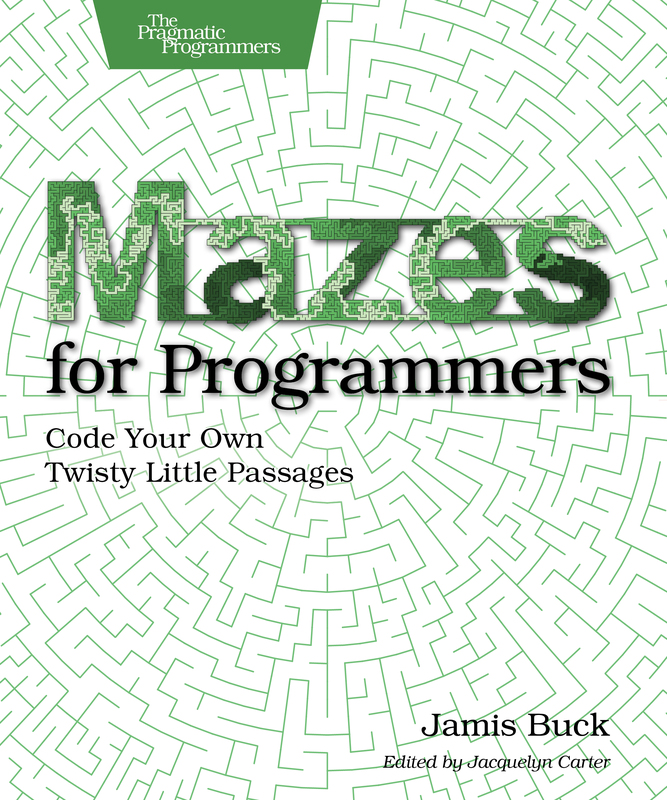 — Bruce Williams, CTO, CargoSense, Inc.
Buy Mazes for Programmers today!